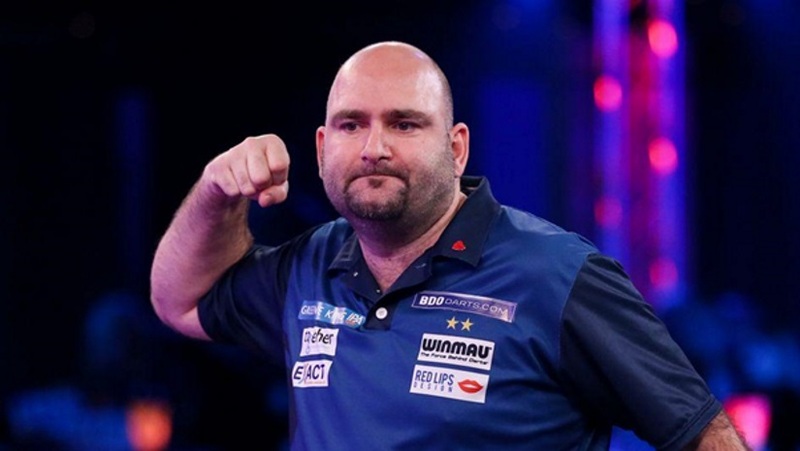 Scott Waites will face Germany’s Michael Unterbuchner in the first of Saturday’s BDO Men’s World Darts Championship semi-finals at the Lakeside Club after the two-time champion overcame Conan ‘The Barbarian’ Whitehead in Friday’s Quarter Finals. Only one round earlier, Whitehead had eliminated Mark McGeeney but couldn’t rediscover his form once reaching the final eight. Scotty-2-Hotty, seeking his third Lakeside title, managed to bank an average of over a ton for a 12-dart opening leg. Whitehead then took the second set before moving ahead thanks to a third set victory in which he scored an exceptional 154 checkout. Waites came back, taking out the next three sets as he seized the initiative, with averages of 101, 81 and 68 with momentum swinging his way. Before long, Waits had moved within one leg of the semi-finals, inspiring Whitehead to give it everything he had and dig out a bullseye followed by double 16 for a 102 finish. This fightback wasn’t to last long, however, as he subsequently missed crucial shots which allowed Waites to collect double 20 and end ‘The Barbarian’s’ comeback setting up a meeting with Michael Unterbuchner in Saturday’s semi-final in the process. For the second year in a row, Unterbuchner, who Betway have priced at 11/2 for the outright win, reached the Lakeside semi-finals after fighting back to defeat the 13th seeded Dutchman Willem Mandigers 5-4. In truth, Unterbuchner looked like he would be heading out after he found himself trailing 3-1 early on. Instead, he showed great character as he took out a vital 104 finish to get back into the match and ensure this exhilarating quarter-final went the distance. Mandigers, who was playing in his first Lakeside quarter-final following his surprise victory over Wesley Harms, hit the highest checkout of the match with 158. It was not quite enough as his opponent averaged 88.35 overall compared to his 86.66 to make the last four. Friday’s late session saw victories for Glen Durrant and Jim Williams who won 5-2 and 3-5, respectively. The pair will now meet later today with Durrant seeking a record-equalling third successive Lakeside title after seeing off Kyle McKinstry to book his semi-final spot. 4/6 favourite ‘Duzza’ is bidding to become the first man since Eric Bristow in 1984-86 to lift the trophy three years in a row but fell behind early on as McKinstry took the first set. Duzza soon found a way to flip the score in his favour however to move 2-1 ahead. Things remained close until the seventh set, which Durrant claimed with a checkout of 85 to finish the match. Duzza will now meet 11/2 shot Jim Williams in a repeat of last year’s quarter-final after the Welshman saw off Scott Mitchell in Friday’s other quarter-final. Williams has won five titles on the BDO circuit since his defeat here last year and is a decent 11/2 at Betway to take the trophy home on Sunday. The final takes place on Sunday at 19.00 (GMT) with live coverage available on both BT Sport and Channel 4.